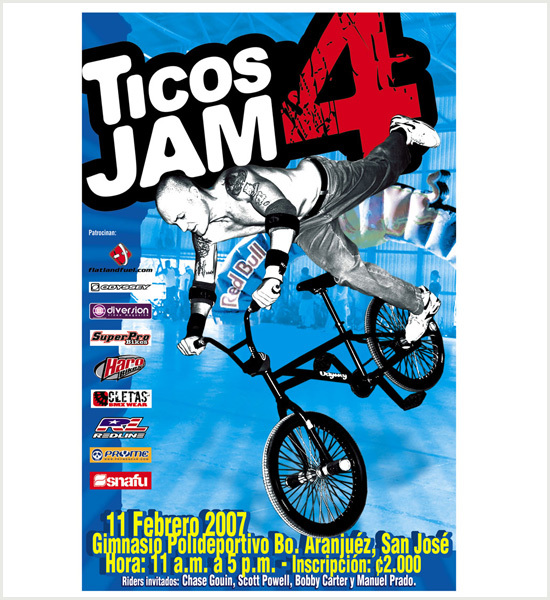 Thanks to sponsors, the anual BMX event Ticos Jam was born in 2004 by the joint efforts of Michael Mesa, the riders, and myself. Although I compete in the USA, I will never forget my roots in Costa Rica, and discovering a way to give back to a community who encouraged my dream to ride, is a blessing. 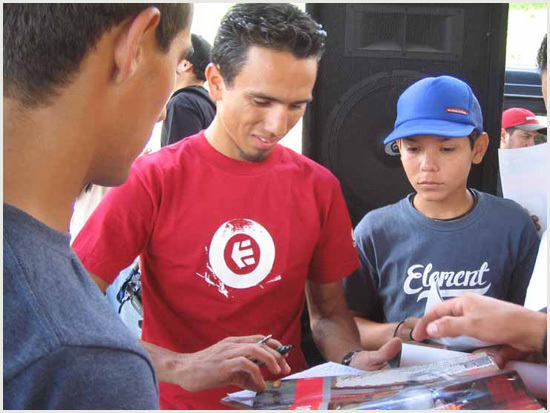 Every year in February, riders from all over the world show up to what has become the biggest Flatland BMX event in Latin America, riders meet for a whole weekend to win prizes and meet their BMX idols. With every passing year, the joyful attitudes of participants, really shows how grateful they are to be participating in the Ticos Jam. Uniting people together with one thing in common, a passion to ride and make progress on their tricks. After practicing all year long riders of all different experience levels anticipate showing off new tricks. Having them focus on a positive goal, while getting fit and confident to perform, this is what Ticos Jam represents. Although many riders leave with a raffle prize every single rider will leave with their confidence elevated, a stronger determination and the hunger to turn a dream into reality.